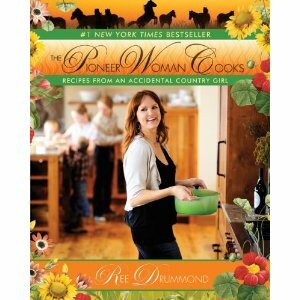 The Real Housewife of Bedford County: Are You a Pioneer Woman? Clearly, the answer to that question if posed to me would be NO! However, I obviously want to cook like one, as I've ordered this book. I periodically check on the Pioneer Woman blog. To be honest, I find it to be a bit boring. . . she has an insane amount of followers and *I think* a movie being made about her. There's some great photography on her blog, and some recipes that sound delish. I've flipped through this cookbook at the book store, and decided to give it a try. It's got great reviews on Amazon, due in part I'm sure to her huge blog following. Have you tried it? What are some of your favorites? You will have to let us know how it is! I am wanting a GOOD cook book but so far all I ever find is a decent cook book with a FEW good recipes scattered in it. Certainly not worth the $30. I hope that's a good one!! It's a great cookbook! I have made the macaroni and cheese and the cinnamon rolls from it and both were awesome! My mother reads her blog (as do I) and has made things from there as well that she raves about. I think one was mashed potatoes that were cooked in heavy cream and the other is some sort of steak with blue cheese on it.